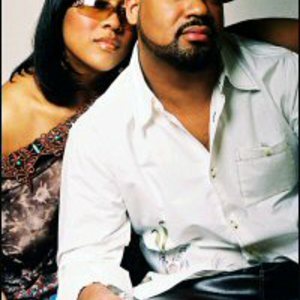 Kindred the Family Soul is an adult contemporary R&B duo from Philadelphia consisting of husband and wife Fatin Dantzler and Aja Graydon. Both began as solo performers. Dantzler was born in Philadelphia and got his start in the music business writing songs for Pebbles and Bell Biv DeVoe. Graydon, from Washington, D.C., had a solo deal at the age of 15. The two united and began writing songs, but then married and started a family, necessitating the steady income of work outside the music business. After a time as an appliance salesman, however, Dantzler went back to trying to make it on the local scene. He and Graydon began performing at the Black Lily club, where they caught the attention of Jill Scott, who took them to her label, Hidden Beach Recordings. They were signed and spent the next two years working on their debut album, Surrender to Love, which was released in February 2003. Kindred released two additional albums on the label: 2005's In This Life Together and 2008's The Arrival. For their fourth album, Kindred moved to Shanachie, where they released 2011's Love Has No Recession. While none of their singles scratched the Top 40 of Billboard's R&B chart, the duo developed a devoted following.